We talk to people all the time who are exploring care options for an aging parent. Often times, they don’t know where to turn for information or referrals. Then, to add to their anxiety, the more they discover is available, the decisions become increasingly difficult. Which home care agency can professionally take care of the comprehensive non-medical needs of my mother? Is it okay to use this home health or hospice agency? Which assisted living facility best matches my dad’s personality and standard of living? Is my mom living with me a good option? 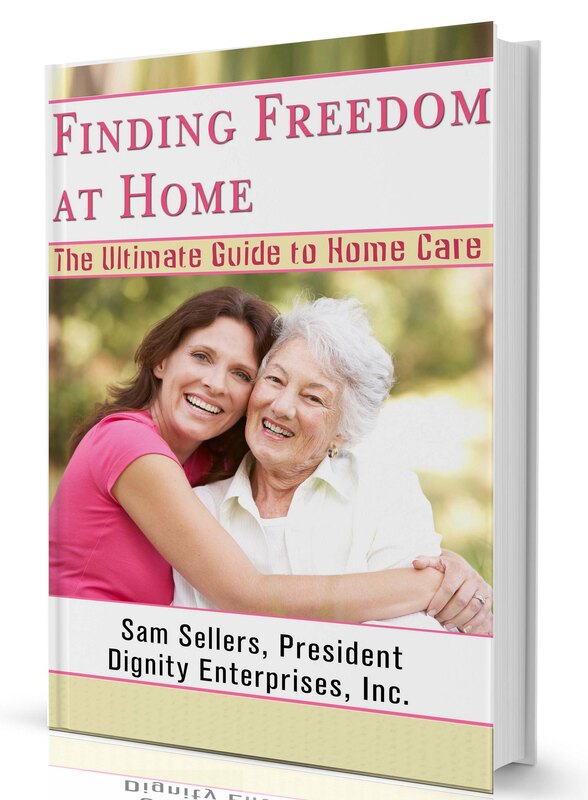 I recently published “Finding Freedom at Home: The Ultimate Guide to Home Care.” My hope is that this book will be a practical resource for families as they are exploring care options for an aging parent. If you agree that many families need a practical resource to help them navigate these waters, tell them about “Finding Freedom at Home: The Ultimate Guide to Home Care.” They can find it on Amazon. Together, we can help educate people about their options. Receiving care in your home is NOT the alternative to institutionalization. To the contrary, everything other than remaining in their home with appropriate services and supports should be viewed as the alternatives.